This is works on the Camaros that has the headlights with the factory daytime running lights. With this harness your Daytime Running Lights will become Fog Lights by staying on anytime you turn on your parking lights ( during the day your DRL will still function as they currently do). So you can finally drive around with Factory Halos and Fog Lights on. 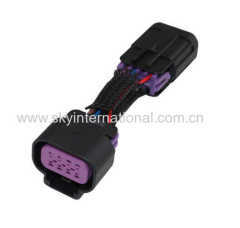 Harness is plug and play with factory male and female connectors (so just plugs in line). Harness includes inline diodes ( only allows power to flow in one direction (( like a check valve)) ) to prevent any feedback to system computer. 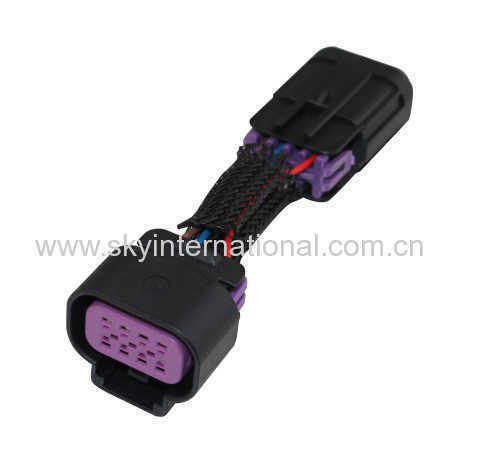 I have had mine installed on my 2012 Camaro 2SS since around 2-15-2013 and have not had any problems with it at all. Very easy 5 to 10 minute install just reach under the front passenger side of the car pull the plastic cover back, reach your hand up and find the harness on the back side of the DRL/ Fog lamp and follow it back towards the back right side of the car and you will fill where the connection for the DRL, unplug harness then insert are harness in line and connect connector back together.